Paul Lawrence is self-publishing a book with Outskirts Press. And he wants your help deciding his book cover. 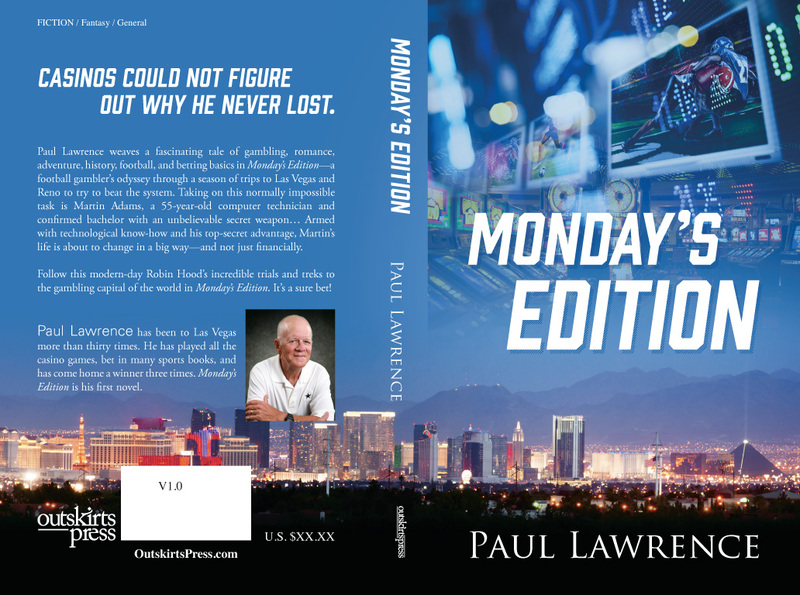 Paul Lawrence weaves a fascinating tale of gambling, romance, adventure, history, football, and betting basics in Monday’s Edition—a football gambler’s odyssey through a season of trips to Las Vegas and Reno to try to beat the system. Taking on this normally impossible task is Martin Adams, a 55-year-old computer technician and confirmed bachelor with an unbelievable secret weapon… Armed with technological know-how and his top-secret advantage, Martin’s life is about to change in a big way—and not just financially. Follow this modern-day Robin Hood’s incredible trials and treks to the gambling capital of the world in Monday’s Edition. It’s a sure bet! 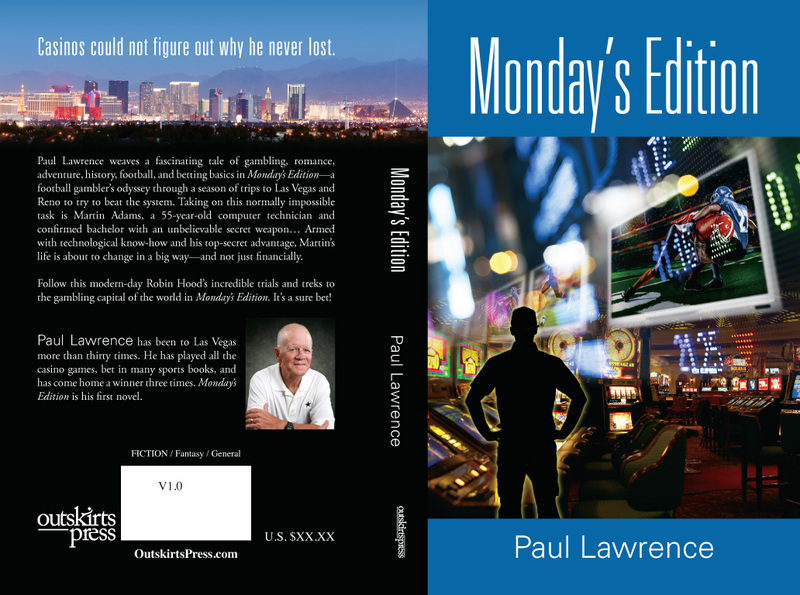 Paul Lawrence has been to Las Vegas more than thirty times. He has played all the casino games, bet in many sports books, and has come home a winner three times. Monday’s Edition is his first novel. Please take a look at two possible covers below and then vote on the choice you recommend for Paul. Paul, Cover B is easier to read and looks less “distorted”. The print is bolder and the colors are better than cover A. Previous Previous post: The Deadline for the Frankfurt International Book Fair Is Quickly Approaching!